Did you know that modern U.S. Mint Silver Proof Sets owe their existence to a fire? It’s true! A fire at the U.S. Mint in Philadelphia in 1817 destroyed much of the mint’s equipment. It was replaced with new “high tech” minting equipment from Europe that allowed the mint to strike coins several times, and to make proofs. Well, over the next several years the mint employees were like kids in a candy shop, striking proof coins to show off their skills with the new-fangled equipment. But they didn’t sell these coins to collectors. They kept them in their own “mint cabinet.” Many of these coins eventually ended up at the Smithsonian®, where they are now part of our treasured national coin collection. Later in the 19th century, the mint struck proof coins to order. And starting in 1936, they began selling complete Proof Sets. Since then, the historic U.S. Silver Proof Set series has grown to become one of our most popular issues each year. We’re pleased to be able to offer the key-date 1992 Silver Proof Set – the first proof set with the cupronickel denominations replaced by coins struck in 90% fine silver! 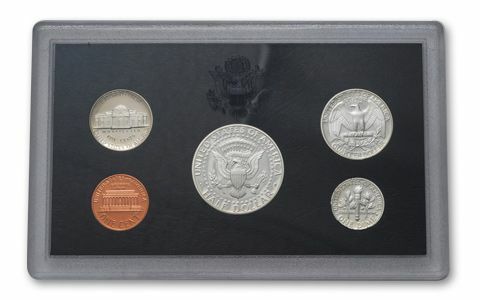 Each set includes the Lincoln Cent, Jefferson Nickel, Silver Roosevelt Dime, Silver Washington Quarter and Silver Kennedy Half Dollar. 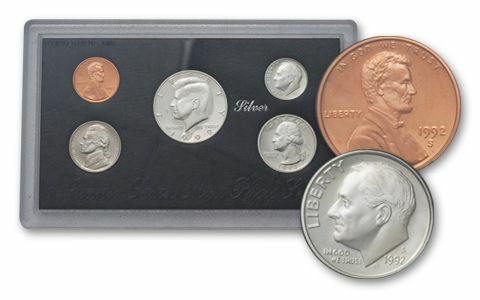 These sets were released in the historic bicentennial year of the establishment of the U.S. Mint and saw the dime, quarter and half dollar all struck in 90% silver. Your set will come in its original U.S. Mint packaging. It’s the perfect starting point for any U.S. Silver Proof set Add one to your cart today! COINS STRUCK EXCLUSIVELY FOR DISCERNING COIN COLLECTORS – While the coins in the U.S. Mint’s Uncirculated Mint Sets are struck much the same way that circulation coins are struck, Proof coins are struck from specially prepared planchets and are struck specially for collectors. 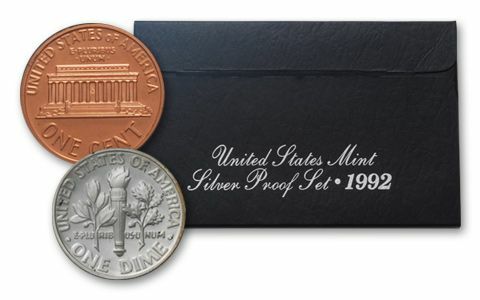 IMPORTANT KEY-DATE SET – Beginning in 1992, the Mint began producing proof sets with the cupronickel denomination replaced by coins struck in 90% fine silver! LEGAL-TENDER COINS – These coins are all legal-tender coins in the United States. GORGEOUS PROOF CONDITION – Each coin in this key-date 1992 U.S. Mint Silver Proof Sets will come in exquisite Proof condition, meaning the coins were expertly crafted by the mint from hand-selected planchets, polished dies and multiple strikes to produce beautifully frosted details rising over mirror-like fields. 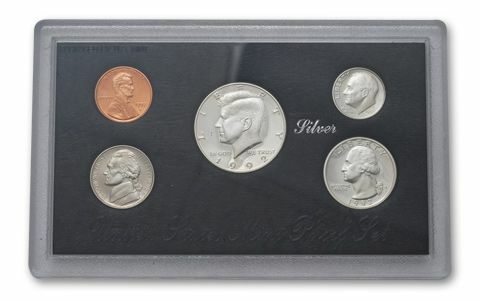 Get the key-date 1992 U.S. Mint Silver Proof Set – it’s a masterpiece in numismatic perfection and a great addition to any coin collection. Order yours today!